Using a late model one-ton dually pickup truck to tow a loaded trailer for pay? You might be driving that rig illegally. If the gross combined weight rating of the truck and trailer exceeds 26,000 pounds, you might need a commercial driver’s license (CDL). 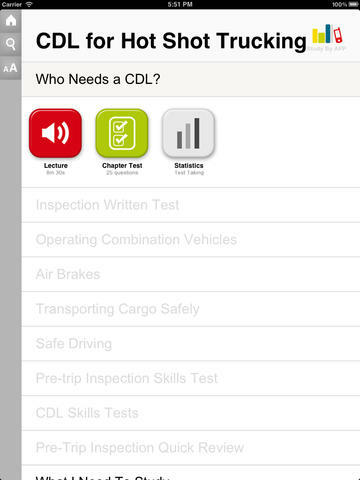 Use this app to review the concepts and rules you need to master before taking the written and skills tests to get a CDL and avoid expensive citations. 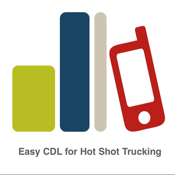 The third in a series of four- and five-star apps for CDL prep, this app was developed by Devorah Fox, President of Mike Byrnes & Associates, Inc. and John Rojas, Education Coordinator for Mike Byrnes & Assoc., Inc. and director of Transportation Training Services at Del Mar College. Publishers of the BUMPERTOBUMPER® commercial motor vehicle books, Mike Byrnes & Assoc., Inc. has been helping to launch successful truck driving careers since 1987.